We manufacture and export cylinder liners such as cylinder liners for cars commercial vehicles, diesel engines, tractor, industrial, agri. engines, motor cycle, scooter, air compressor and compressor. 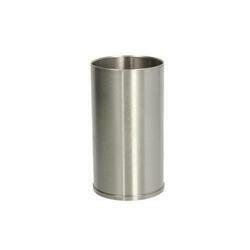 We take pride in introducing ourselves as a specialist in the manufacturing of Industrial Cylinder Liner. Ever since our commencement, we are a leading organization engaged in developing a comprehensive array of Industrial Cylinder Liner. This has largely been possible due to our skilled technicians, modern manufacturing facilities, strict quality control, advanced machineries and rich experience. We strongly believe in the fact that it is the quality of a product that is the manifestation of the process and as leading manufacturers we strictly follow the best industry practices for all manufacturing process. Moreover, we also allow our esteemed clients to fine-tune the process for meeting their needs. Wet Cylinder Liners offered come in precision design and construction standards and find application in areas like Generators, Compressor, Trucks, Engine and others. These Wet Cylinder Liners are recognized in the market for their sturdy finish as well as resistance to corrosion. Providing desired support in dispersing heat and impurities, these low wear Wet Cylinder Liners are made available by us at competitive market prices. 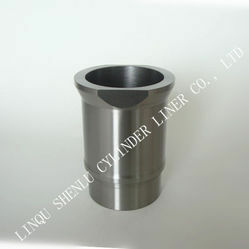 Further, we can also customize these wet cylinder liners in finish specifications as demanded by the customers. 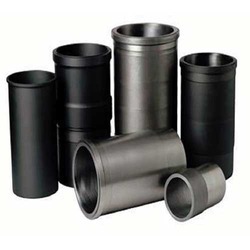 Dry Cylinder Liner offered come in precision design & construction standards so as to provide for optimum performance support in given applications. These Dry Cylinder Liners are available in assorted range so as to meet the process requirements in heavy, medium and light applications. Here, the teams of expert available at our end as well as latest technology support assist us in coming up with flawless designed and tuned cylinder liners. Further, the support of quality control professionals also allows us to conduct extensive quality control checks at each stage of production so as to ensure products bearing high quality finish. 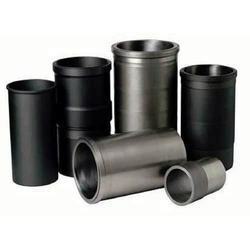 We are involved in offering a comprehensive range of Cylinder Liner for Two Wheeler. Two Wheeler Cylinder Liners are used in renowned motorcycle brands like Luna, Hero Honda, Kawasaki, and Royal Enfield Bullet. Manufactured using high grade raw material, Two Wheeler Cylinder Liners are known for their durability, and corrosion resistant features. With our expertise in the respective domain, we are involved in providing an extensive range of Moly Hard Cylinder Liner. Manufactured in strict tandem with the international quality standards, these Liners are known for their durability, tensile strength and crack resistant features. Moly Hard Cylinder Liners are available in various specifications like std bore, outer diameter, collar O.D and others. We can also custom design the liners as per the varied application requirements of our clients. 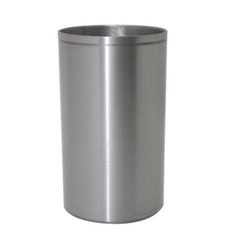 Backed by latest machines and equipment, we have been able to develop reliable and dimensionally accurate range of Air Compressor Cylinder Liner. Available in different bore sizes, length and width, these Liners have excellent tensile strength and crack resistant qualities. The diameters of the liner are properly ground finished to attain highest level of accuracy ensuring excellent performance. 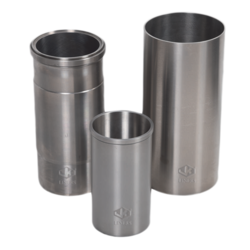 Car Cylinder Liners offered by us are designed and developed in precision finish standards so as to provide perfect suitability in defined working conditions. Here, we are offering to the customers’ cylinder liners for Swaraj Mazda in standard bore of 4 cylinders with outer diameter of 100 mm, collar O.D. of 4.07, Collar width of 4.25 and total length of 7.5/8". With our expertise in also offering customized finish solutions, we ensure the Car Cylinder Liner and other solutions offered by us are competitively priced. Swaraj Mazda 4 Cyl. 100 mm 4.07 4.25 0.130/100 7.5/8"
Looking for Cylinder Liners ?